Le Hinton, who “lives and works, simultaneously, in Philadelphia, Lancaster, and Harrisburg, swims in the third stream that is somewhere between being a spoken word poet and a page poet, and thinks that everyone should own at least one copy of Miles Davis’s Kind of Blue. 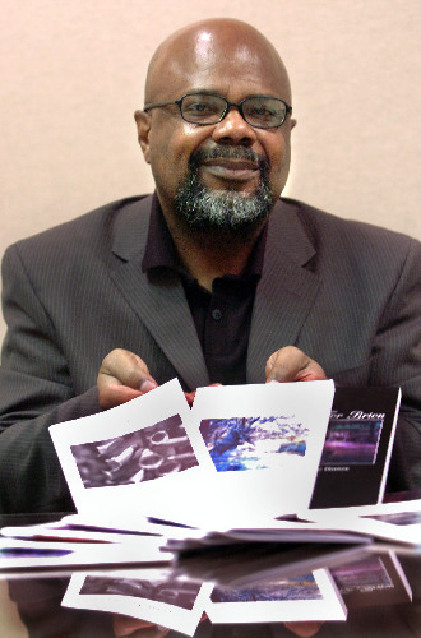 Hinton is the author of four books of poetry, including Status Post Hope and Black on Most Days and is the editor and publisher of the poetry journal Fledgling Rag. GER: You were raised in Harrisburg, Pennsylvania. Did the city and the area of Central Pennsylvania impact your writing in any manner? LH: For various reasons, Harrisburg, Pennsylvania doesn’t appear in my poetry very often. I’ve lived most of my adult years in Lancaster County and my college days were spent in Philadelphia at Saint Joseph’s University. So I have poems such as “47th and Baltimore” that acknowledge my time in Philadelphia or a poem such as “Storytelling on the Susquehanna” that tips its hat to Lancaster County. I might describe some of my poetry as being about a place in time rather than a geographical place. North Carolina, Hiroshima and Topaz (in Utah) during the 1940s have all served as backdrops for poems. 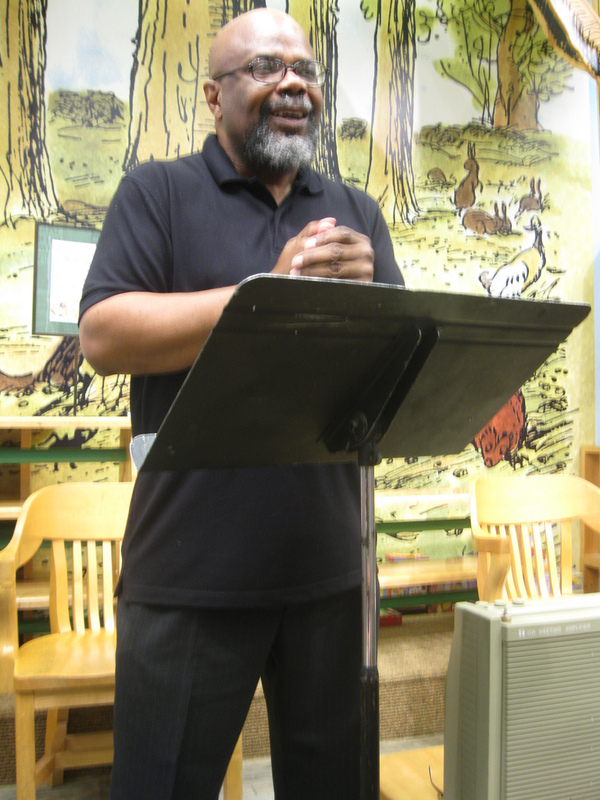 LH: At different times during my writing life, I’ve been influenced by Countee Cullen, Emily Dickinson, Langston Hughes, Mary Oliver, e.e. Cummings and Dean Young. The influence of their work may or may not be obvious, but there are unique poetic sensibilities that have drawn me to each of them. There are other poets, lesser known, such as Tameka Cage Conley and Eileen Kinch who write with such an honesty of emotion and clarity of purpose that I cannot help but be influenced by their work. We will hear much from them in the future. Tim Seibles, Terrance Hayes, Tracey K. Smith and a host of other contemporary poets are currently finding their way into my neurons. I’m always open to the voices of other poets who may help me express my own voice. I never want to stop learning. GER: You have said art and jazz have impacted your poetry. Tell us how. LH: I’m influenced by the other arts, particularly music, particularly jazz. I’ve also written poems inspired by painters. I wrote a series of poems after spending a few late afternoons at the Philadelphia Museum of Art captivated by the Joan Miro paintings there. Many of the poems published in my books were inspired by listening to jazz pieces over and over again, trying to get to the core of meaning and/or emotion. Poems such as “Season of Changes,” “Once I Fell,” “Black on Most Days – Where Dreams Go” and “Everything Happens When You’re Gone” where inspired by listening to jazz tunes by Jon Cowherd, Kenny Garrett, Mike Stern, and Michael Brecker respectively. I listen, and then I write what I feel. After getting the emotion on paper, I revise the piece to shape it into something resembling poetry. Currently, I am working on a series of poems created by listening to the music of Jason Moran and simultaneously reading the poetry of Dean Young. I’ve matched a specific album of Moran’s music with a specific book of Dean Young’s poems. I loop Moran’s music while I read each poem in Young’s book. When I am finished, I write what I feel, what I’ve absorbed. There may be as many as 12 poems in the series when I’m finished. GER: A number of your collections have been published. Could you please share with us the collections and how they differ if at all? LH: I have four books. Each has its own personality. I love variety in most of my interests and passions, so there is a variety of writing styles and tones in each collection. The first book, Waiting for Brion, included poems that covered a period of more than twenty years. There is a mixture of styles and subject matter with no one central theme throughout the book. The styles of the poems were also all over the place, having been influenced by Dickinson and Cummings, among others. The second book, Status Post Hope, is divided into two parts, Reality, poems that tend to be rather narrative in their presentation, and Irreality, poems that are less linear, somewhat in a surreal vein. The focus in this book is on loss. The third book, Black on Most Days, seeks to focus on the various moods and meanings of the word black (African-American experience, death, depression, the color itself and other aspects of blackness). The most recent book, The God of Our Dreams, is the shortest and most focused of all of the books that I’ve published. There are five poems using the title and there is an arc to the poems that is rather positive and optimistic. GER: You founded Iris G Press and have published quite a few poets. What do you look for in a collection to consider it for publication? LH: I don’t necessarily get a collection of poems that is fully formed and ready to publish. It is more accurate to say that I collaborate with a poet who has written many good poems that I have read or heard. We come together to create a book. My poetic sensibilities are varied. I like Mary Oliver but also love Mary Ruefle. They are two very different poets. So there may be no obvious similarities in the work of Marty Esworthy, Jeff Rath and Rebecca Gonzalez. All three are very good poets who work so very hard on the craft, but also have great emotional insights. What is also very important to me in publishing someone else’s work is that I like and respect the person. I can honestly say that I like and love the three poets whose books I’ve published. There are many, many good poets, so why should work with someone I’m not compatible with? Why work with someone who is not humble and grateful for the miracles, small and large, that happen in life? I detest people (not just poets) who have huge egos. So even if the poet were great, I wouldn’t want to be involved with the ego or lack of gentleness. GER: The Fledgling Rag is an invitation only magazine on line. How do you determine who to invite and share with us some of the poets you have published? LH: With a couple early exceptions, all of the poets of Fledgling Rag are poets whose work I experience first. Typically, I read someone’s work or see/hear the person at a poetry reading. 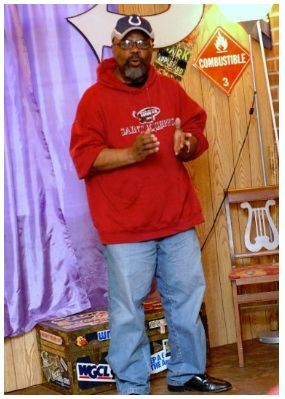 I read some great poems online by Alan King, then attended one of his readings with the purpose of inviting him to join Fledgling Rag, Issue 12. I attended a reading by Melanie Henderson, not knowing of her before the reading. I was impressed, bought her book and then later asked her to become part of FR 12. If I am moved (emotionally or intellectually), I ask the person to submit five poems from which at least three will be published. 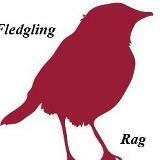 The first issue of Fledgling Rag featured Marty Esworthy and issue two featured Rich Hemings. Both are important figures in the Central Pennsylvania poetry scene. A later issue included the work of Philadelphia area poet J.C. Todd. I travel to other regions to hear good poetry, so the recent featured poets have been Marjory Heath Wentworth, the current poet laureate of South Carolina and Michael Glaser, former poet laureate of Maryland. The next issue will feature Yona Harvey, an amazingly gifted, intelligent and hard-working poet from Pittsburgh. GER: You host the Lancaster Poetry Exchange Reading Series. As part of the Central Pennsylvania poetry and arts scene share with us your knowledge of the scene in Lancaster, York and Harrisburg. LH: Central Pennsylvania has a very active and dynamic poetry scene. 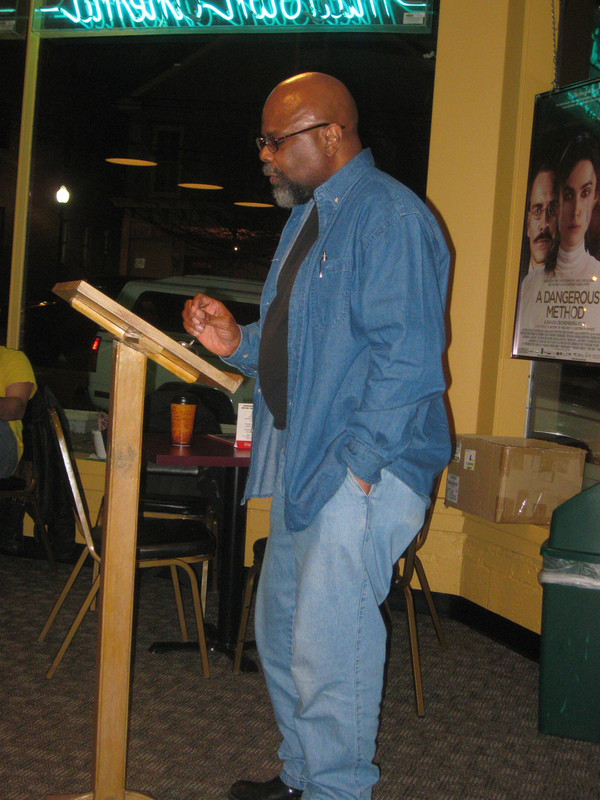 There are poetry readings and events somewhere in the area nearly every evening. I’d also include Berks County in the Central PA poetry area. There are evenings when I have to make a choice between two or even three poetry events to attend. Marty Esworthy and Christian Thiede in Harrisburg, Liz Stanley and Marilyn Klimcho in Berks County, Keith Baughman, Carol Clark Williams, and Carla Christopher in York and Jeff Rath and Ty Clever in Lancaster all do so much to promote poetry at multiple levels. 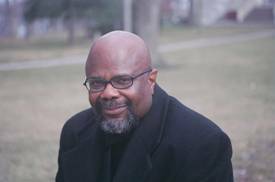 There are also colleges and universities such as the writers houses at Franklin and Marshall and Elizabethtown colleges and Millersville University’s Ware Center that contribute to enriching the poetry experience in Central Pennsylvania. GER: Artist Derek Parker included one of your poems in his sculpture at Clipper Magazine Stadium. You also threw out the opening day pitch for the Barnstormers and read a poem for the crowd. Please share with us how this project developed and your feelings regarding having your poem included? LH: My poem is part of a larger whole, part of Poetry Paths. Poetry Paths is a public visual and literary art project founded and produced by the Philadelphia Alumni Writers House at Franklin & Marshall College with funding from the Lancaster County Community Foundation. It combines poetry and sculpture and places the result in front of public places such as the Lancaster Public Library, the Fulton Opera House, the Pennsylvania College of Art & Design and many others. There is a selection process that first chooses a poem from among many submissions written for a specific site and then later another selection process involving the choosing of a sculpture created for the site and the poem for the site. I was surprised and grateful when my poem, “Our Ballpark” was chosen for the Clipper Magazine Stadium site in the spring of 2011. In August 2011, as part of the process of choosing the sculpture, the designs of the finalists were placed on display at the stadium for the fans to vote on. 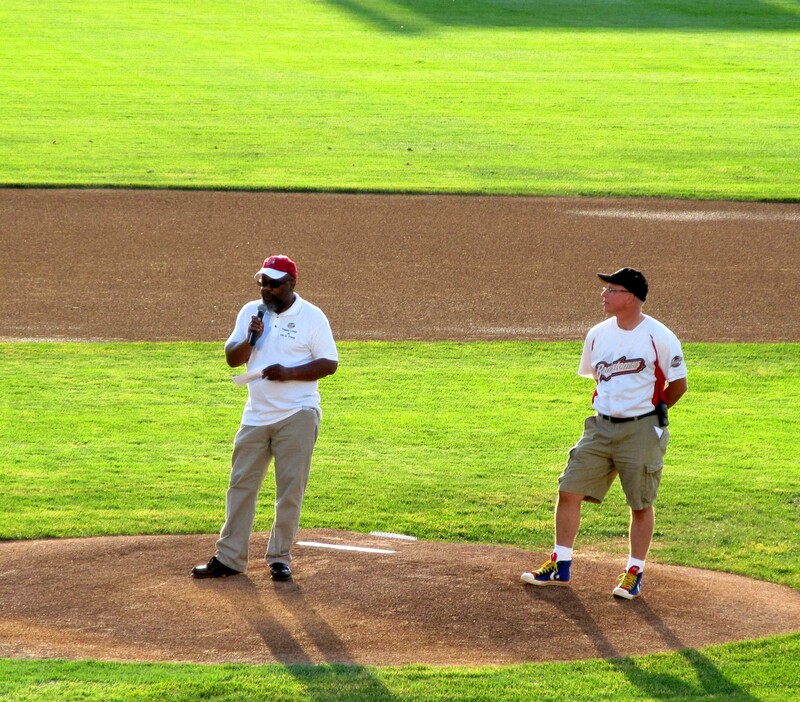 I read my poem in front of 6,000 fans and threw out the ceremonial first pitch. It was a thrill to combine two of my three loves, baseball and poetry. GER: What advice would you give to emerging poets? LH: The best advice that I can give to poets is to read, write, revise and read some more. It is a mistake to not read the work of those who have come before us and those who are writing now. Look at what they are doing and how they do it. Shakespeare has something to offer. Hughes has much to teach. Lucille Clifton, Mary Ruefle and Terrance Hayes have lessons that should be absorbed. Apply those lessons in your writing, and then write. However, the really difficult part is the re-writing. Revision is where most of the writing effort is. Great poems do not spill out of a poet’s head fully formed. The inspiration may start there, but the real writing of a poem is in the revision. This is hard work. GER: What is next for Le Hinton? LH: The most immediate project involves Fledgling Rag, Issue 12. It will be released in April 2013. For the first time, there will be a journal release event. It will be held at Millersville University’s Ware Center in downtown Lancaster on April 30. The event will feature Yona Harvey who has generously consented to travel all the way from Pittsburgh to read. There will be donations taken at the door and all money from the sale of both Ms. Harvey’s new book, Hemming the Water, and from Fledgling Rag will go directly to the Clinic. The Lancaster Cleft Palate Clinic has been doing great and important work for 75 years. For the rest of 2013, I hope to focus on publishing new books by Marty Esworthy and Rebecca Gonzalez. 2014 may see the release of a new title by Jeff Rath. I’m also writing and working on my own manuscript, tentatively titled Variants of Light. This entry was posted in "10 questions for...." interview series, fox chase review, interviews, literary magazine, literary news, poetry magazine, poetry news, Uncategorized and tagged barnstormers baseball team, central pensylvania poet, clipper magazine stadium, fledging rag magazine, harrisburg, harrisburg poetry scene, iris g press, lancaster, lancaster poetry scene, Le Hinton, le hinton interview, poet le hinton, st josephs university. Bookmark the permalink.